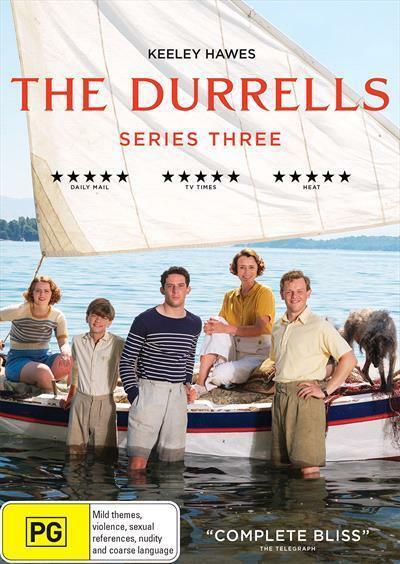 The beautiful island of Corfu continues to work its magic on the eccentric Durrell family. Even a visit from Aunt Hermione isn’t the usual dreaded experience as the formerly formidable matriarch has embraced the laid-back Greek attitude and found romance. Leslie’s also enjoying a much-improved love life with three very different girls. But there’s no safety in numbers when his mother and siblings decide to interfere. Margo has (temporarily) given up on love and found a new vocation, while Gerry’s obsession with animals continues to grow. As for Louisa, a trip to the UK with Larry to sort out family affairs reminds her of the restrictions of her old life. After a brush with bohemian London artists, she realises her heart lies in her island paradise.